New Pokemon of the Week!! New Tournament!!! This Club is Designed for Every Trainer To Battle and Trade Freely! There will be battle tournaments, as well as a pokemon of the week. Trades will also take place!! More coming soon!!! Pokemon of the Week This Week is PIDGEOTTO. LOCATION: Wild Pidgeotto can be found on Routes 14, 15 and 21 in Red, Blue and Yellow. They are much more prolific in the later versions of the game, appearing on Routes 2, 8, 13-15, 25, 37 and 43 in Gold and Silver in addition to Routes 5, 11, 38 and 39 in Crystal. Restrict your hunting to the morning and daytime hours, though, as the Pidgeotto mysteriously disappear at night. OoO Spooky!!! 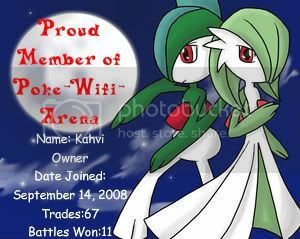 Alright in FireRed and LeafGreen look for it on Routes 13, 14, and 15 also Bond Bridge, Berry Forest, and Chrono Island. In Diamond and Pearl you have to Evolve it from a dear ol Pidgy. Pidgy can be found in Swarms so ask Lucas/Dawns sister and she will tell you when they are swarming. STATS: Even though almost all of us initially chose Pidgeotto for its ability to Fly us around, once you finish the in-game quest and are ready to train "for real" you'll probably want to get rid of Fly. For one thing, it's a telegraphed attack. Your opponent may not be able to hit you on your way up (unless they use Thunder, Whirlwind or Twister, of course), but once you've committed yourself to Fly they know you can't switch out or change your strategy. This gives your opponent ample time to alter THEIR strategy, which puts Pidgeotto at a disadvantage. Also, Fly is not entirely accurate. For these reasons I recommend Wing Attack over Fly. It's not the most powerful move in the world, but Pidgeotto does receive STAB for it and it will do more damage in two turns than Fly would do in the same amount of time. Don't forget about Pidgeotto's Normal side! There are so many Normal/Flying types out there that people tend to forget about their dual nature and think of them as pure Flying types. I've chosen a powerful Normal type attack in Double-Edge for my Pidgeotto...it may not be super-effective against anything, but it gets STAB nonetheless. 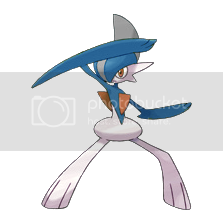 STAB makes more and more difference the higher a move's power goes; my suggesting Double-Edge on so many Normal type Pokémon might seem redundant, but when you consider Double-Edge's base power jumps to a whopping 180 on all Normal type Pokémon it suddenly seems MUCH more attractive! Of course, if Double-Edge's recoil bothers you (or you simply don't have access to the RBY TMs), Return is an acceptable substitute. The Pidgey family is a solid line of dependable Fliers and I would encourage anyone to give them a chance. Not just IN the game, mind you, but after you've completed the game and are ready to train for battles with human opponents as well. 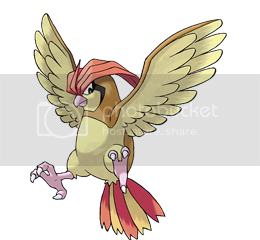 Though I think I slightly prefer Dodrio as my Normal/Flying type of choice I can readily admit that Pidgeotto is a hard-working and unappreciated little birdy with a heart of gold, and I don't for a second regret taking the time to train him up all the way. Have fun raising this often-overlooked aerial master, and tune in next week for another larger than life Pokémon of the Week! 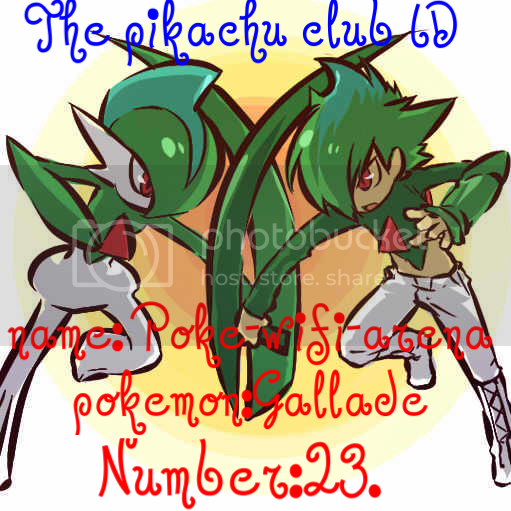 In Association with The Pikachu Club! 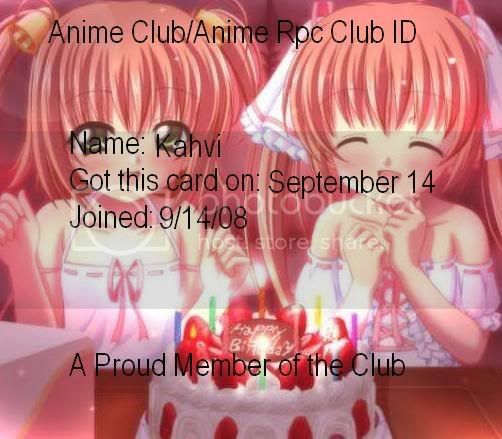 Supporter Of The Anime Group! ~NEXT TOURNAMENT!!!! Ok You Guys I had fun at the Last Tournament but the Shiny Eevee is Still Up for Grabs!!! And it gets even better because the Shiny Eevee will now have Maxed Out Contest Stats basically you can Win and Contest with this Baby..VERY VERY RARE!!! Now the Next Tournament is the Level 100 Single! And that will be held on December 28th!!! So mark your calenders people!!! This is Only Temporary for the first few tournaments just so everyone is on an even playing field. ~Level 100 Single Tournament will be held first on FEB 15th! If this is does not work for you let me know. I will let you know times later on. IF YOU ARE INTERESTED IN JOINING THE TOURNAMENT PLEASE LET ME KNOW BEFORE JANUARY 25th!!! SO GET TRAINING EVERYONE AND I WILL SEE YOU THEN! GOOD LUCK TO ALL TRAINERS!!!! Login or register to add poke-wifi-arena as your friend!